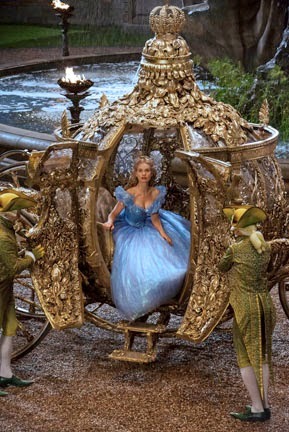 Cinderella opens Friday, March 13th in theaters nationwide. Stay tuned for MommyBlogExpert's review that will go live tomorrow. Then you'll find out exactly what single secret makes the latest Disney live action fairy tale motion picture so magical and what will compel you to go see it. I'll give you a hint, it's not what you're thinking -- it's something much greater and more fantastic. FTC Disclosure: Disney provided the image that appears in this post as well as invited MommyBlogExpert to Walt Disney Studios for a screening of this movie prior to release to facilitate my forthcoming review. No payment or other compensation was received in connection with this post and opinions here are my own. See complete FTC Disclosure information that appears at the bottom of MommyBlogExpert's home page and at the bottom of every individual post on this blog, including this one.